Stephen Colbert recently hosted TCG member, leading publisher and businessman Mort Zuckerman on The Colbert Report. Colbert poked fun at venture capitalist Tom Perkins for his over-the-top comments regarding the so-called persecution of America’s wealthiest 1% with good sport, Zuckerman. 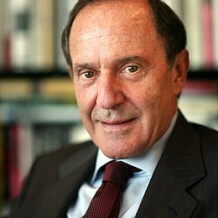 Zuckerman took the occasion to stress the need for job creation as one of the most serious issues of our time, emphasizing that more action is critical to ensure greater opportunity and mobility. Zuckerman is confirmed as one of our key speakers for The Common Good Conference on “Growing the Economy, Jobs and Prosperity”- our upcoming forum highlighting America’s pressing economic issues. Watch Mr. Zuckerman’s appearance here.